You are here: Home / News / ATTHD Wrestling Club sends 5 to State! The ATTHD Wrestling Club qualified 8 wrestlers to Subdistricts last week. This week, we qualified 5 of those 8 (plus 1 alternate) for the Kansas State Wrestling Championships next week in Topeka at the Expocenter! 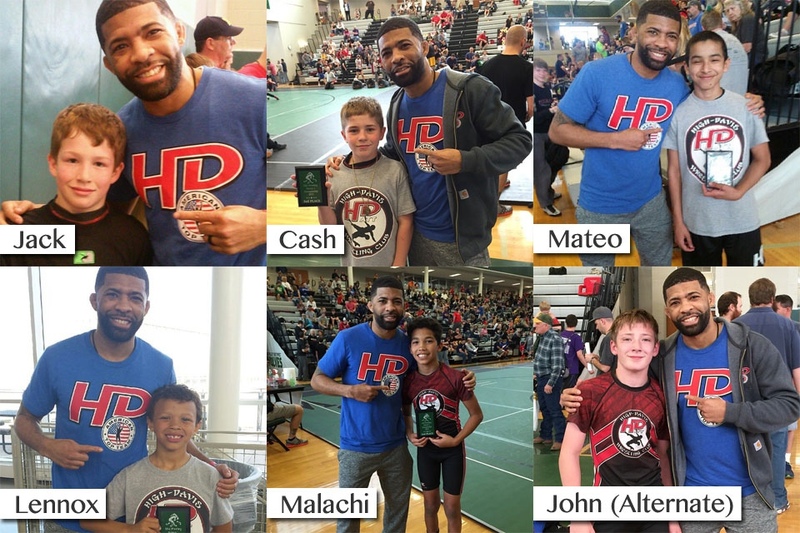 In youth wrestling, there are no classes like there are in high school (4A, 5A, etc) – so our wrestlers are truly in the top four in our District (Kansas USA Wrestling District 1)! All four Kansas wrestling districts meet up at the State Championships. where the best 16 wrestlers in each age and weight category scrap it out! We have lots to look forward to next weekend at ATTHD, as owner and head wrestling coach LC Davis will be the co-main event on the Bellator 135 card, which takes place in Thackerville, Oklahoma, on Friday night. Coach Davis will then get in the car and drive all night to Topeka to coach our wrestlers at the State Championships. Hard work and dedication is the name of the game at ATTHD!